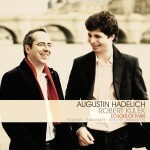 Grammy Award-winning violinist Augustin Hadelich is one of the most impressive musicians of his generation. Pianist Joyce Yang, youngest ever medalist of the Van Cliburn Competition, is a consistently electrifying presence on stage. Together these young artists produce a plethora of pyrotechnics and an abundance of musical imagination. 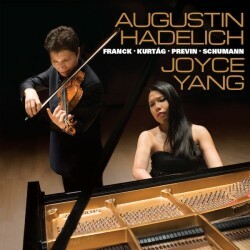 This unique recital program pairs two 19th-century repertory staples – Sonatas by Franck and Schumann – with 20th-century fare by Kurtág and Previn, a combination Augustin and Joyce have performed to widespread acclaim in their frequent joint performances.